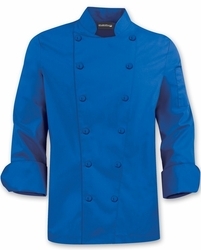 Add a little flair to your wardrobe with this traditional chef coat with the French Classic 12-knot buttons. This is a better-fitting coat with a more contoured, tailored cut and extra room built into the biceps and underarm areas. The ultra-soft fine line twill is durable yet easy to maintain. Fabric is Soft, Easy Care 65/35 Poly/Cotton Fine Line Twill. 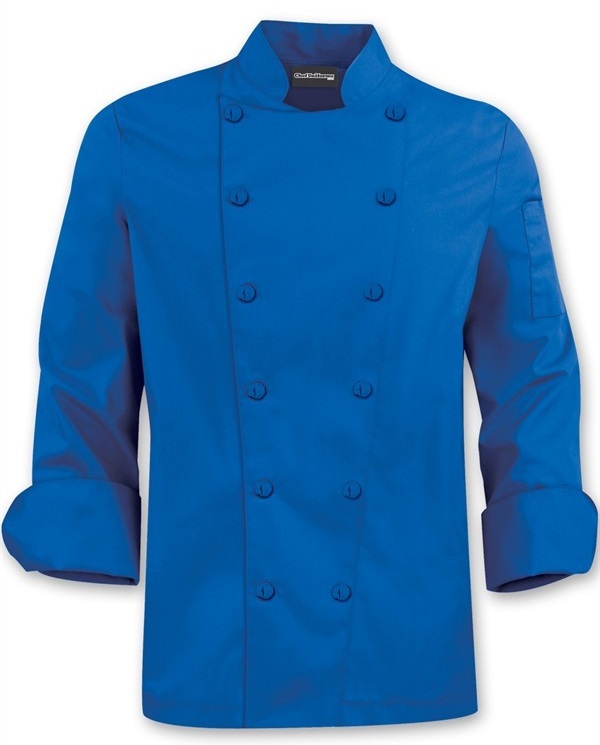 Take a look at the CHEF WEAR FOR LADY CHEFS! Customization makes it personal BUT Embroidery Jobs alone require 12-14 days before your order can ship.